Why Girl got a great new haircut—short, spiky, fun; everyone loved it. So, of course, she went back to the same stylist at Floyd’s for a trim. OMG. The hairstylist went on and on about this woman evangelist and how great she is. When the trim was done, Why Girl looked in the mirror and was speechless—horrified.. OMG, she cut my hair in the spitting image of Joyce Meyer. Why Girl went home. Immediately washed all the curls and guck out of her hair. Blew it out, spiked it up, but something more still needed to be done. Next day, she went to a good colorist and said, “Make my hair platinum.” Wah Lah, saved for the moment. WARNING! Beware of what your hairdresser talks about while she cuts your hair. 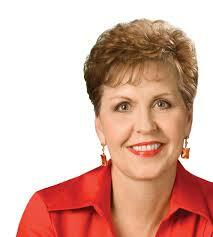 You could end up looking like Joyce Meyer. OMG.